With the release of their Just Like EP on OWSLA Records, The M Machine have transitioned their sound from their electro roots to share a fresh take on house music that embodies their unique style of production. With an emphasis on vocals and he deeper side of dance music we can expect more spacey and quirky productions from the group in the future. 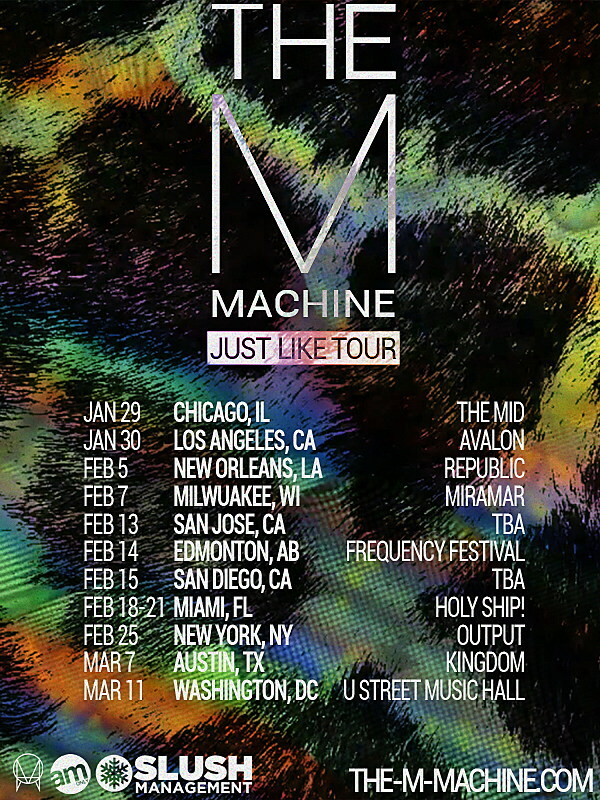 In 2015 they are set to embark on their Just Like Tour hitting 10 shows across North America starting late January, plus four days on Holy Ship! from February 18th to the 21st. View the complete list of dates below and you can also purchase tickets to all of the events here.